Do you know where you DON’T want to be when SHTF? Part of planning for SHTF survival is knowing the safe places AND the places to avoid. If it truly ever did hit the fan, you would want to be in a safe location to either survive the initial horror, looting, violence and general lawlessness behavior that will occur, or to spend the rest of your days surviving off the land and not relying on government or other agencies. 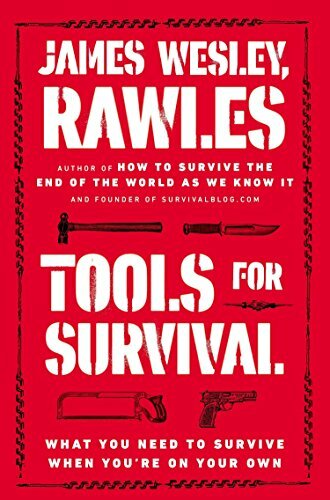 This is what survival blog founder James Rawles foresees. There will be an almost unstoppable chain of events: Power -> water -> food distribution -> law and order -> arson fires -> full scale looting. 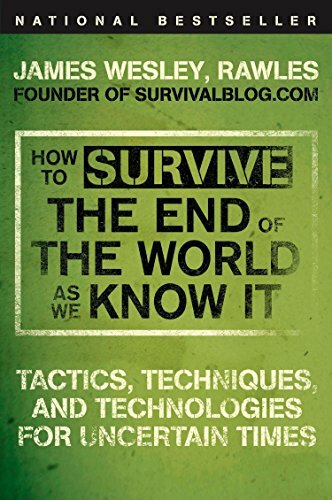 Surviving SHTF is going to take a lot of knowledge and pre-planning. It will be disaster full-scale! If you had half a brain, cities would be a no-no. Read on to see where you don’t want to be when it hits the fan, and take a look at the map above for a visual. If things really go down in a disaster, you don’t want to be anywhere near big cities. The most populated parts of America will explode in violence, looting and other breakdowns of society. There will be no law and order anymore. With no one to enforce the laws, and with people fearing for their own lives, it will be total chaos. But there is more to be concerned about in the big cities besides just the way other people will behave. Due to the urbanization of the United States, if the Eastern or Western power grid goes down for more than a week, we will have cities that are unlivable. As described above, it’s the unstoppable chain of events. Population density is really our biggest concern. There are 3,000 counties in the United States but census data tells us that 50% of the population lives in just 146. Basically, this proves that the bulk of the population is concentrated in a very small surface area of the country. There are loads of people living in very heavily populated cities, and a large amount of the rest of the country that has little to no human population. When thinking of a survival situation, there will be hordes of people trying to find very critical resources like food and water. The more populated the area, the bigger the horde that will be fighting over the resources. it can get really nasty – with people looting, fighting, and killing. So as you can see from looking at the map, you want to avoid the big cities. You should try to stay clear of the 146 counties that have the bulk of the US population. 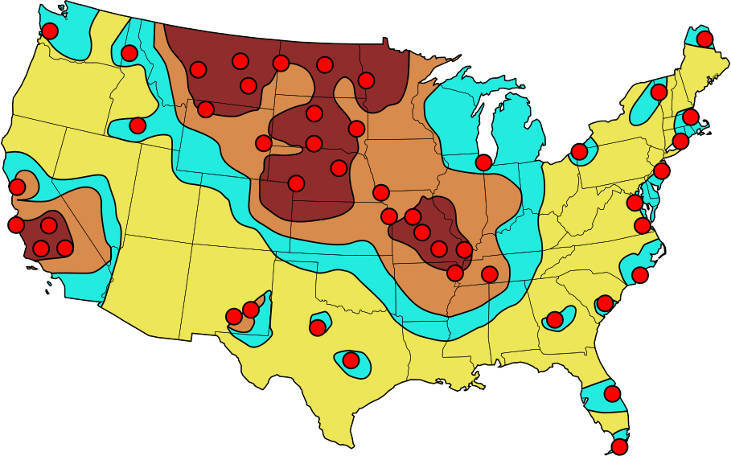 The midwestern states that have low human population are prepared, but being careful to avoid areas prone to natural disasters, like Tornado Alley. If you like near a big city and you have an evacuation plan for when SHTF, you need to ensure that plan means you don’t go near or into the big cities when it happens. Instead, you need a plan that routes you away from the chaos and into a quieter, safer place. While all the hordes are scrambling through the big cities, looting, and fighting for resources that will not be enough for everyone, you can be settling in with your family at a bug out location, an underground bunker, or some other undisclosed location you have previously planned for. You can see on the map that big parts of Florida and California are places you do not want to be with SHTF. Then there is the upper northeast section of the United States, New Jersey, and New York. Again. these are very densely populated areas. Surviving is about more than just knowing where NOT to be, of course. It’s also all about prepping properly beforehand. Some people don’t like to think about this. Some people will judge preppers, or even call them “crazy” or “paranoid”. 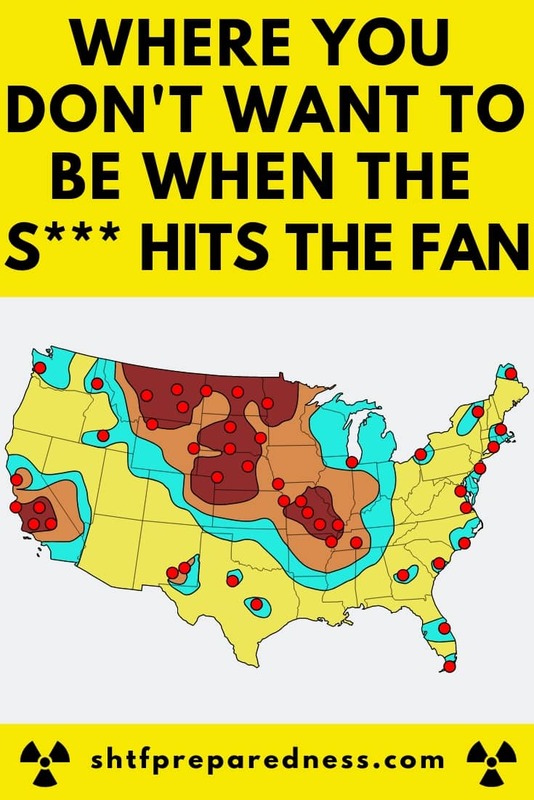 They may laugh now but who will be laughing with SHTF and we’re the ones prepared? Here’s what else you need to know about surviving SHTF. First, location is important. We talk above about where you don’t want to be, but when SHTF we don’t really have that much time to relocate. It’s important to plan now. If you live close to these big cities or other densely populated areas, you may want to start planning for a move now. If you’re serious about being prepared, there’s simply not enough time to wait for disaster to strike before you move. Our biggest worry is not a natural disaster. It’s not terrorism either. Our biggest worry is not the government or war but actually is other people. Population density can lead to our downfall of modern society as we know it. In a disaster, most people panic. Even good people can panic in an emergency situation. And panicked people are dangerous people. The best thing you can do for your own future now is to begin prepping and educating yourself in advance. The more you learn, the more you will grow. Learn how to build things for yourself. Have an emergency evacuation plan, and have all the proper supplies stocked up in case of an emergency. You need to know how many of your family members are coming with you to an emergency bunker or fallout shelter. You also need to be sure you have enough supplies for those people, and for an undisclosed about of time. You should prep for anywhere from 2 weeks to 6 months, at least. You also want to learn how to scavenge and find other supplies when your stocks run out. Learn how to grow your own food, how to hunt, and how to fish. Learn how to survive in inclement weather. We have a wealth of info for you here on our site, but don’t stop at that. Keep learning, keep planning and ask questions if you need to. If there’s something you really want us to cover on the site, reach out and let us know. We are all about giving you more preparation for SHTF survival. Stock up, buy what you need, and save what you need. Learn all that you can about how to survive without modern conveniences. These are the people who will thrive and survive when SHTF. It is essential to making it when things go bad. Would you add anything to our tips about where you don’t want to be with SHTF? What would you add about how to survive in a situation of disaster like this?